- It’s like a second chance, a deeper commitment than what I did for Advent. - A time to slow down and get closer to God, to take time to listen to God. - A time to take on new practices so I grow in my faith and as a person. - A time to be more aware of others. - I try to ask God how God wants me to pray in a new way, what God wants me to give up, and what God wants me to give. 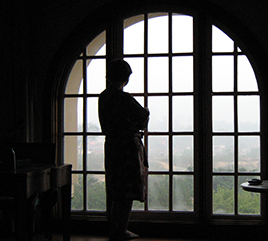 We reflected that sometimes these Lenten practices are for a time of six weeks and other times doing them can lead us into a new life pattern. All of us had the desire to grow, to become more who God made us to be. 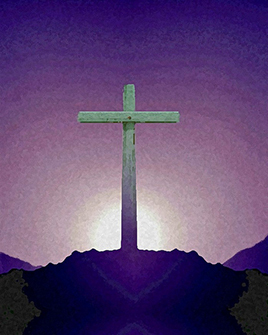 What does Lent mean for you? What is God saying to you these Lenten days? Jesus prepared for his public ministry by spending forty days in the desert listening to God and being very aware of all the inner and outer temptations facing him. He grew strong and came out ready to take on a new way of being. What do you need to do to prepare for what God is calling you to do and be? Have you encountered Christ? How has that encounter called you? Changed you? It’s not a one time event. As people of faith, we keep encountering Christ and, as with any intimate relationship, it grows deeper and matures over time. Get Ready and Let Go! 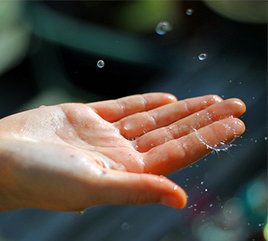 "My first attempt at rain drops" by Ben Angel via Flicker creative commons. Do you ever enter really important times with some apprehension? Maybe it's a job interview, a heavy conversation you need to have with a friend, or an important family get together. You want everything to go well. You hope there won't be painful conflict. You hope something good that you might not have even imagined can come to pass. But first you have to show up. We have a General Chapter coming up in a few short weeks. That's a very large meeting held every six years during which we make decisions for the future and elect new leadership. We've been planning and talking for quite a while, but we are also praying for the Spirit to guide us. When you "show up" for something really important, and you are a person of faith, or a group based on your faith, you know it's bigger than you and all your plans. Certainly, God is a part of all the preparation and reflecting, but you also know that the Spirit can enter and produce an outcome that you never even dreamed of. God asks us both to prepare and to hold everything lightly. Is God asking you to hold something more lightly so that God can surprise you? Are you willing to take the risk? This week's reflection comes to us from Marilin Llanes. Marilin is a Bilingual School Psychologist in Chicago, and is currently a candidate for readmission. It’s the middle of the day I’m sitting quietly at Cor Gesu Chapel in my freshman year at Barry University, when I hear a voice from the pew behind me. I turned around and there was Sr. Alice Joseph, fondly known as A.J. She asked me something like, “Have you given any thought to becoming an Adrian Dominican Sister?” Our eyes met, and I was speechless not knowing what to say to her. Then from somewhere in me I told her that I frankly had not given much thought to religious life (at the time I was in a serious relationship), but out of respect for her I would think about it. This invitation changed and transformed the course of the rest of my life. 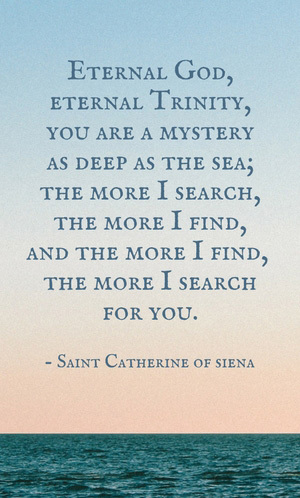 The words of St. Catherine of Siena from “The Letters” best summarizes it, “… no matter what happens, we know that everything is done with God’s providence and tremendous love.” A belated thank you to Sister A.J. The gift of welcome and the wisdom of invitation are transformative movements in my faith journey. Now, I want to practice them with you. 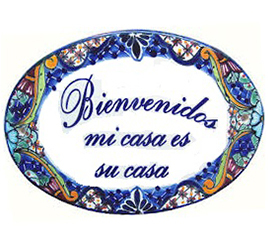 Welcome/Bienvenida… Come And See Adrians (C.A.S.A). Peace be with you. This week's blog comes to us from Sister Anele Heiges, OP, Vice President of the International Public Policy Institute, NGO at United Nations, NY/ Professor of Global and Universe Education and Mentor of Young World Leaders. 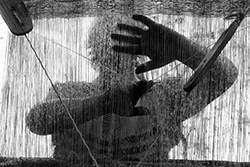 "Weaving hands" by Hans Splinter, Flickr creative commons. As a young woman in late teens growing up in Santa Cruz, California on the Pacific Coast, dating interesting young men and thinking of the future, my inner self was asking, “Why was I born?” Happy childhood memories of riding ocean waves on my doctor-father’s shoulders rode quietly at anchor. While bobbing in the ocean he and I conversed about how it joined other big and little pieces of water and touched the lands of many people on earth. He inspired me to find ways as a service person to relate with those people and also respectfully learn from them. A global soul was softly being nurtured by God. After Holy Cross High School, the question of, “Why was I born?” finally yearned for a global service response, but how could that happen? God’s Holy Spirit kept luring insistently at hours of day or night. I dialogued with good people of different nationalities, life-callings, and various groups of Catholic Sisters. The consistent openness of Adrian Dominicans and their expansive worldview that came from prayerful spirits stole my heart. They were mostly happy people. Finally some of them kindly invited me to give their way of life a try. After prayerful thoughtful times in a deep inner place of listening, I accepted God’s call extended through exquisite Dominican women. After going to Adrian, Michigan, I learned with other new Dominicans about our life, mission and the worldwide beauty of living in community to work toward bringing more justice, peace and integrity of creation into our world. Wise people tell us that God creates ways to ease people onto their life path and engage them in that process. Early assignments with indigenous peoples in Arizona schools taught me about how humans and all life share in universe and earth consciousness. Then years of college and university ministry were mingled with visitors from the United Nations. They extended invitation to New York to engage there in creative world service. The Adrian Dominicans lovingly helped me accept that invitation after prayerfully discerning God’s true call to global service that had been nurtured years before. With heart overflowing with gratitude, I thank our Sisters for loving companionship in community living and service to the world. Likewise Dominican women did for me years ago in Santa Cruz, California; I here invite interested readers to give this life a try. It can be wonderfully surprising. I am praying for you. Guest blogger Sister Mary Soher, OP, is currently the Co-Director of National Catholic Sisters Week. She is based at St. Catherine’s University in St. Paul, MN, and travels extensively to raise awareness about Catholic Sisters. 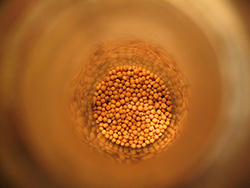 "Mustard seed" by charmar, Flickr creative commons. It is a beautiful story, for them, but it made me wonder if I have enough faith. I let the thought roll around my mind and heart for awhile, and then a familiar gospel passage came to mind, that of the mustard seed. Jesus tells his disciples, both then and now, that if we have faith the size of a mustard seed, we could tell a mountain to move and it would. I only need to have enough faith to let Jesus into my life, a seed-size amount, and then the wonders begin. My discernment of religious life was sort of like that. I had an interest, a wondering about religious life, but I also thought I knew what it was and that it wasn’t for me. However, the thought, small as it was, would not go away – I needed to find out what was religious life really was about before I could decide if it would be life-giving for me. I let the thought or call settle into my inner self and began the journey of learning more. Step by step, sister by sister, conversation after conversation, I began to see that there was indeed a direction for me to become my best self and develop a deeper and ongoing relationship with an incredibly merciful and loving God. If there is the slightest bit of interest, of wondering, of longing, do not be afraid. Start a conversation, ask your questions, think about the responses you get and the feelings you feel. Have faith that whatever you need, God has already given to you all that you need and will continue to do so. Something about the start of a new year gives us hope -- a chance to start again, make better choices, set up new, healthy patterns for our lives. At least that is how we start out. We may think of all the little and big things we want to change in our lives and make resolutions, but then life happens and those changes often don't occur. Some good discernment can help us with that. We know we can't change everything all at once, and God doesn't ask us to. Also, although we may want to change something, we may desire even more a habit or attitude that is holding us back from attaining our truest desire. Perhaps this something has a hold of us. Discernment can help us go deeper. Ask yourself, "What do I really want to change in my life?" Then pause and ask, "What is under that? What do I really want to change?" Keep going as many times as you need to get to the core. It is only by going very deep that you can find out what you truly desire. Another path is to share with God all the things you might like or hope to change. Then sit in silence and ask God to show you which of these is the most important for you to change now. Be open to what God might show you. It might even be something that wasn't on your original list. Discernment involves going to the deepest place in our selves and being open to the God of surprises who dwells within us and beyond us. Inspired by Psalm 46, God by my side, I am in awe by the depth and fidelity of God’s presence in my life. All along my diverse and winding path, God has been with me. My journey has been quite an experience of trusting myself enough to be able to trust the divine plan for me. 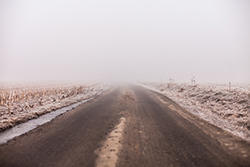 I must admit that my path, at times, has been uncertain as to where I was being led. As I was moving along and letting be what was happening, I felt myself wavering between what seemed impossible and the real. Yet with God at my side, along with human and divine intervention, I realized the new that was coming to be. At this point in my life, the impossible has become a reality! Today I embrace the now and rejoice in the gift of second chances, such as renewing my covenant with my Adrian Dominican Sisters. 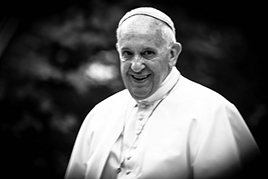 I welcome the invitation to new experiences in religious life, in ministry, and with our Global community. Being mindful that no matter what is placed on my path, in you, O Divine One, I find my strength, my hope, and my energy, and most of all I find my true self, Divinity alive in me. The path to joy is now. Amen. This week's reflection comes to us from guest blogger, Katherine Frazier, Adrian Dominican Sisters Candidate. 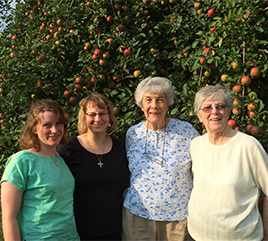 Left to right: Candidate Katherine Frazier with Sisters Lorraine Réaume, Mary Keefe, and Kathy Nolan. When a very pregnant Mary and Joseph set out on a journey to Bethlehem, they did not know what the journey would hold for them. Taking a journey implies transformation. Not only is there the physical change of being in a new place, but there is also the spiritual changes that take place when we meet new people and see new places. Mary and Joseph were transformed by their journey, as they became a family with a newborn son. Taking a journey also means taking a leap of faith, in allowing ourselves to be open to whatever the journey brings us, no matter how surprising. For Mary and Joseph, they had to take a leap of faith that they and their expected child would be cared for once they arrived in Bethlehem. This story of Mary and Joseph speaks deeply to my own process of discernment. Certainly, my discernment has taken me to new places, where I have been able to meet many new people. However, more importantly, I am finding that this journey is challenging me to think in new ways, whether in learning how to be a better community member or pondering how God is active in my life. And there is a leap of faith to the discernment process once we embrace our decision, even if the consequences are surprising. Finally, I come back to the fact that Mary was pregnant with the Word of God as she traveled with Joseph to Bethlehem. As a woman discerning a vocation with the Order of Preachers, I see in this image an example of my calling to carry the Word of God to the world, and the image gives me hope that my vocation can be carried out in ways that I have not yet imagined. 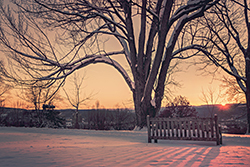 Photo: “Waiting” by Col Ford on Flickr, creative commons license. Waiting is so hard. We want to get things done, to check them off our list, to be sure about the next step. There is a quote I like, “Do you have the patience to wait until the mud settles, until the right answer arises by itself.” We do all our pondering and thinking, discussing and pro and con lists – and that is all good and necessary. But at some point discernment also involves waiting. We take a step and we wait as we live into a new reality. Think of Mary. She took a huge step in saying, “May it be done to me according to your word.” And then she waited. Like any mother, she had to wait nine months to see her newborn, to learn how to be a mother, to learn how to love her particular child, and, finally, to let go as that child followed his mission in the world. We say a ‘yes,’ big or little, and then we go forward step by step, learning what that yes really means as we go. What yes have you said to God that is still being formed in you?